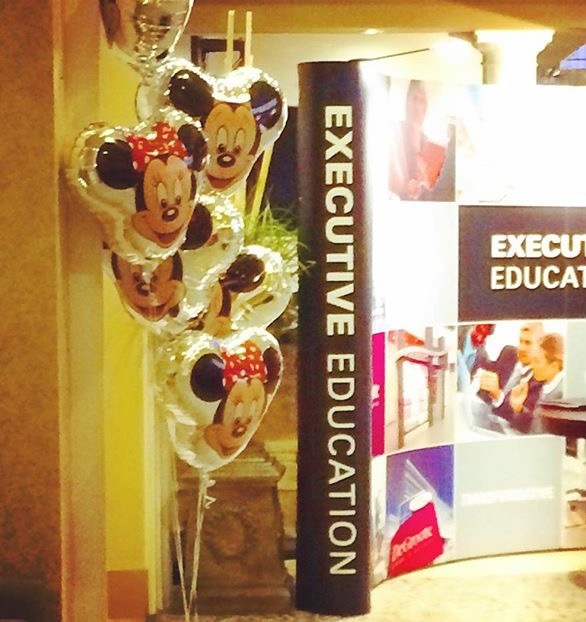 Recently I had the good fortune of attending a Disney Institute course on Quality Service that was sponsored by DeGroote School of Business, McMaster University. As an avid Disney fan there were a number of people who questioned my motives for wanting to attend this course. I will admit, the fact that it was a Disney Institute course was what first peaked my interest and how I became aware of it but after reading about what would be discussed I felt it would be an excellent course to take and I was not mistaken. I gained a lot of insight into a different way of looking at and addressing customer service. As the Executive Officer for a Not-For-Profit Association my members are my customers (not the general public) but many of the same principles apply. In this post I will discuss some of my take-aways on the ideas/points I felt were most relevant for me, but this is certainly in no way the full content of what was discussed at the class. Some of the following information is taken directly from the workbook provided but most is my paraphrasing and interpretation. I know I’m at the right class when there are Mickey and Minnie balloons at the door! One of the first discussions was on what Disney terms “Overmanagement”. Overmanaging is not micromanaging; it means paying extraordinary attention to the details surrounding general business processes. If the business processes are very detailed and deliberate it takes the guess work out of what needs to be done and empowers employees (“Cast Members”) to make quick decisions without having to seek approval first. It needs to be stressed that customer loyalty is influenced by each and every contact or “touchpoint” they have with your organization. “Touchpoints are ANY medium that engages with the customer.” Many of these touchpoints are often overlooked such as finding your phone number online or ease of locating your office, etc. By overmanaging all touchpoints you create a better likelihood of a positive overall experience and the more positive touchpoints a customer has the more likely they are to overlook a negative one, if it occurs. Disney feels there are three core principles for service design: Purpose, Customer, and Business. Principle 1: Your organization must have a purpose or essential foundation on which all other service decisions, policies and processes can be developed. 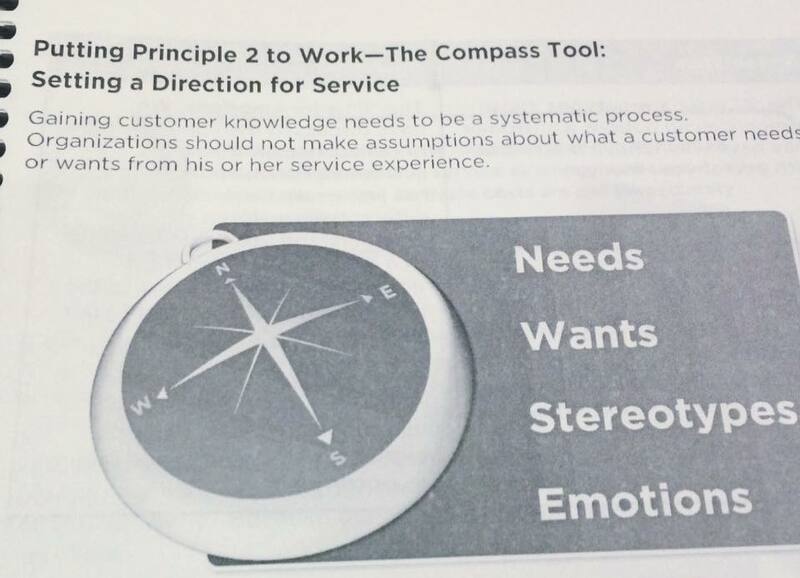 Principle 2: Understand your customer. Move beyond the obvious and try to understand what their needs, wants, stereotypes and emotions are so you can create a positive experience. Organizations should not make assumptions about what a customer needs or wants from their service experience. Principle 3: View service as an economic asset. I really liked their following statements “Customer service costs must be viewed in light of an unshakeable belief in service as an economic asset, even when the returns on those costs are not immediately measurable” and “Service investments are about people, not issues” . Building relationships with your customers takes time, effort, and money but these are investments not just costs. Organizations need to identify, define, prioritize, and communicate their quality standards. To identity quality standards start by looking at how your customers would describe their ideal experience with your organization and what service they expect. Examples: efficient, accurate, friendly etc. With these words you can start to define exactly what is meant by them. From there you prioritize the standards and finally you communicate all this information to everyone within your organization. Going back to my prior statement about empowering Cast Members to make decisions, this is what makes that possible. When there are clearly set, defined, and communicated quality standards the employee can quickly go through them in their head when a situation presents itself and act accordingly. In this and many areas I find communication is always key. You can have all the policies and processes you want, but if no one knows about them what good are they? Disney’s Quality Standards priorities are: 1. Safety, 2. Courtesy, 3. Show, and 4. Efficiency. Every decision by anyone in the organization is questioned against these priorities. An example was given that even the finance department uses these priorities. If funds are being requested to improve safety measures they are given priority and approval before funds being requested for an efficiency issue. Another example would be if a Cast Member is in costume for Fantasyland (part of the “show”) they normally would not be allowed to be seen in Tomorrowland in that costume but if it were a matter of safety that breach of protocol would be overlooked. Safety trumps everything. If you ever have an opportunity to attend a Disney Institute class I would highly recommend it and I look forward to attending more in the future. I want to thank Carmen Garcia and John Hill of the Disney Institute for facilitating such a thought provoking discussion and sharing some of Disney’s approaches to Quality Service. 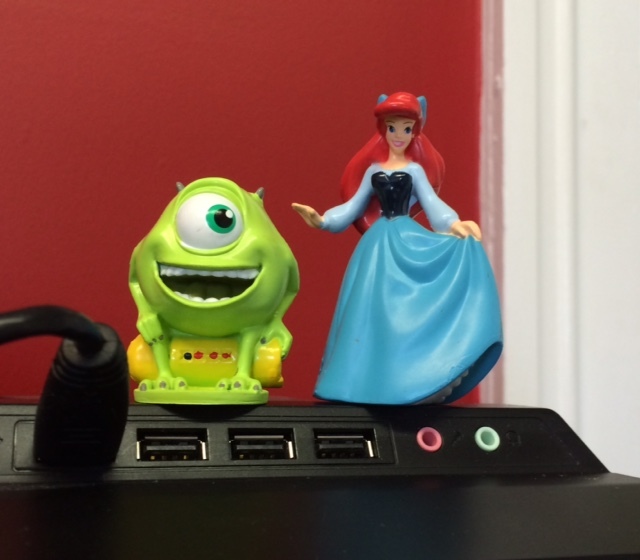 Oh, and thank you for the PPIR’s below (Positive Plastic Intermittent Reinforcements) that now sit on my computer at the office. 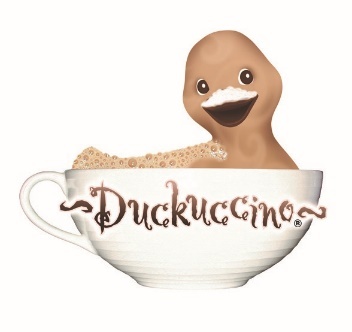 I love rubber ducks. 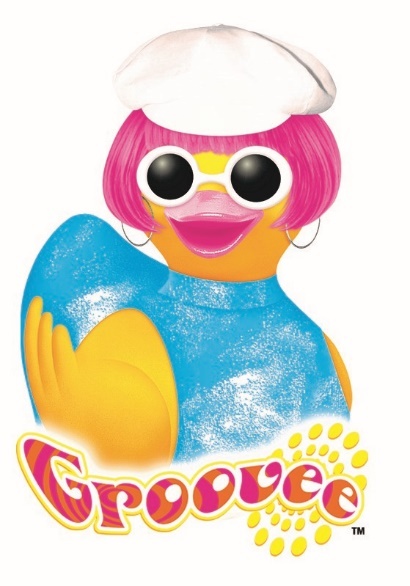 It may stem from my love of Sesame Street as a kid and singing the rubber duckie song along with Ernie but whatever the reason when I had kids of my own I made sure there were rubber ducks to play with in the tub. However, I had a bit of love hate relationship with them because of the hole in the bottom. Water would get in there and then get all moldy and when squeezed the disgusting “gunk” (a technical term of my kids) would come out and contaminate the bathtub water. Well, not any more. Not with Rubba Ducks. I was thrilled when given the opportunity to review a couple of Rubba Ducks. They are adorable and best of all (to me anyway) they DO NOT have the dreaded hole to collect water and mold. My Rubba Ducks showed up in August and I had every intention to writing this post about them right away but life got in the way. My son broke his hand and had to have numerous trips to the orthopedic surgeon and fracture clinic as they tried to determine if there was more than one break or not. I’m happy to report it was only one but it was still a hectic few weeks. Why does this have anything to do with Rubba Ducks, well he was the first in our house, to finally get to play with the ducks we were sent, while he soaked the medical tape off his hand. As he splashed away the Rubba Ducks stayed upright. They have weights in the bottom that keeps them floating upright, all the time. 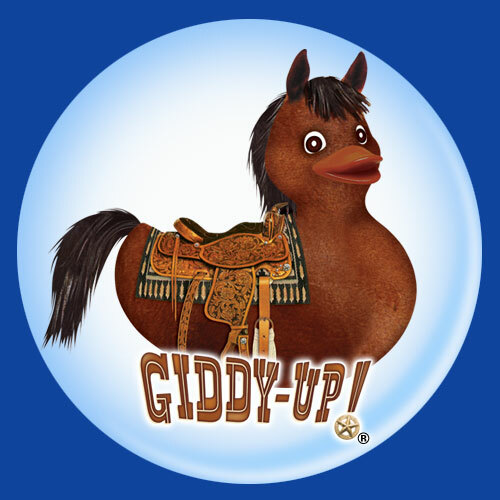 We received Duckanderthal and Giddy-Up Duck and the attention to detail with their colour, sculpturing and decorative costumes and designs is amazing. Each Rubba Duck also comes with its own hatch date which is a cute feature. 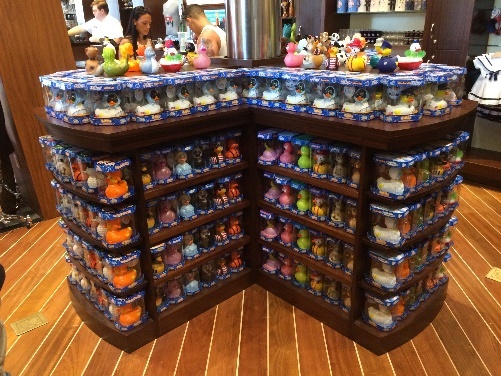 Rubba Ducks can be purchased online at www.rubbaducks.net but they are also the only Non-Disney Toy to be found at The BOATHOUSE Restaurant in Disney Springs. 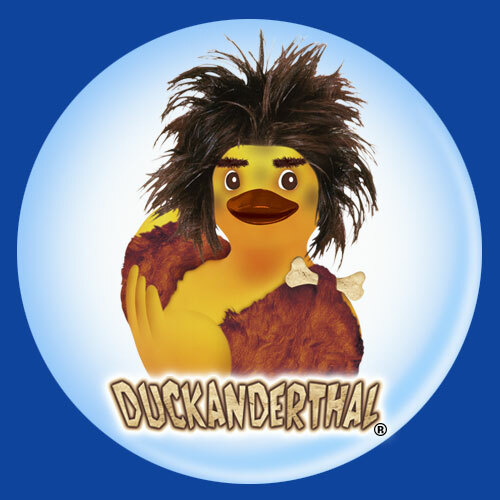 Would you like to win a Rubba Duck of your very own? Just leave a comment below by 12 noon EST on September 14, 2015 and one lucky person will be randomly selected to win your own Rubba Duck. Even though I received my Rubba Ducks for free to review on my blog, all opinions are my own.